The new BR110 field shotgun has all the same features of their premium over/under shotguns but at an affordable price. 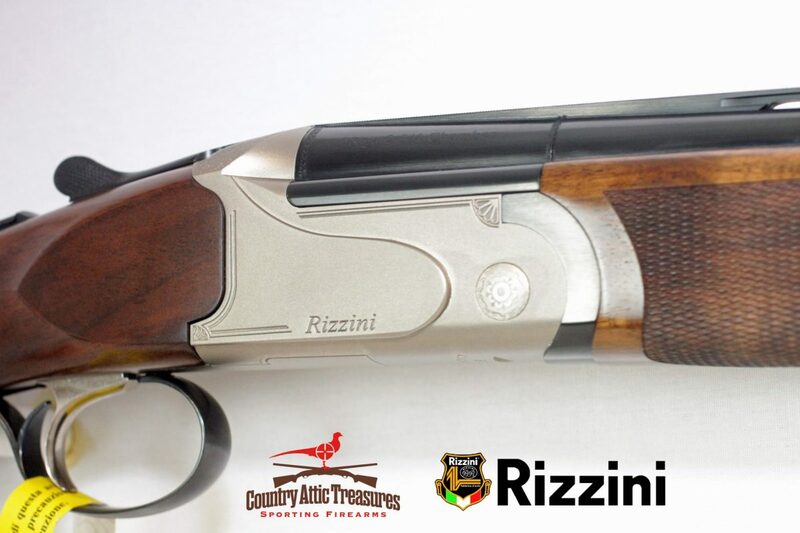 Rizzini’s 50 years of manufacturing experience is showcased in the simplicity of the BR110. 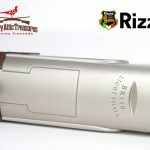 The new BR110 field shotgun has all the same features of their premium over/under shotguns but at an affordable price. 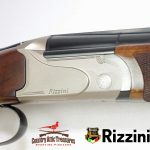 Rizzini’s 50 years of manufacturing experience is showcased in the simplicity of the BR110. Its matte black slim low-profile receiver is extremely strong and available in three frame sizes (12, 20 and 28). The gun comes with upgraded Turkish walnut stocks with 26 LPI chekering and a classic Schnabel forearm. The BR110 Light is a great option for the hunter looking to go further and hunt longer. Our alloy frame reduces the weight of the gun for easier swing and pointability. 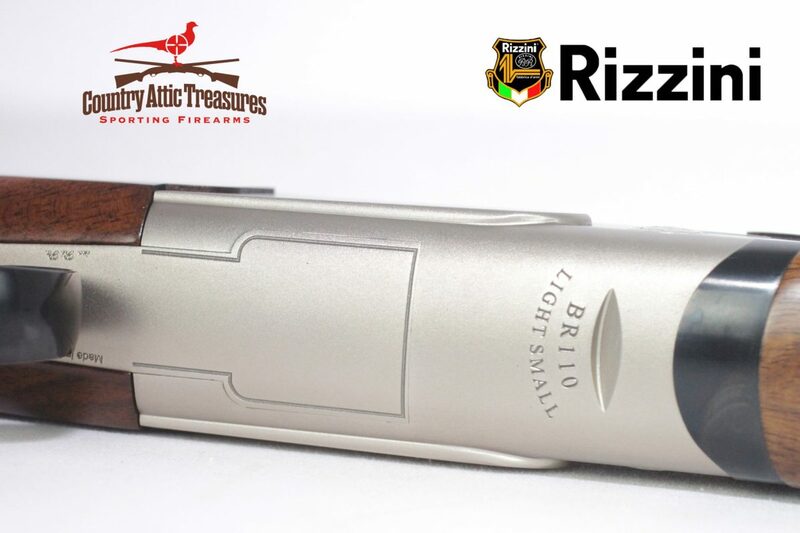 The BR110 Light has the same features of the BR110 with superb fit and finish quality that B. Rizzini is known for. 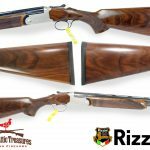 Flat forged frames and barrels of nickel chrome steel are crafted into functional and graceful shotguns suitable for all shooting purposes. Frame size makes for dynamic handling characteristics. All guns come in interchangeable screw-in chokes and bores are chrome lined for corrosion resistance and ease of maintenance. Deeply blued barrels and actions provide durability no matter what the field conditions. The BR 110 retains many of the unique features found on it’s higher grade cousins; Jeweled monoblocks, brazed ribs, and precisely regulated trigger and automatic ejectors. 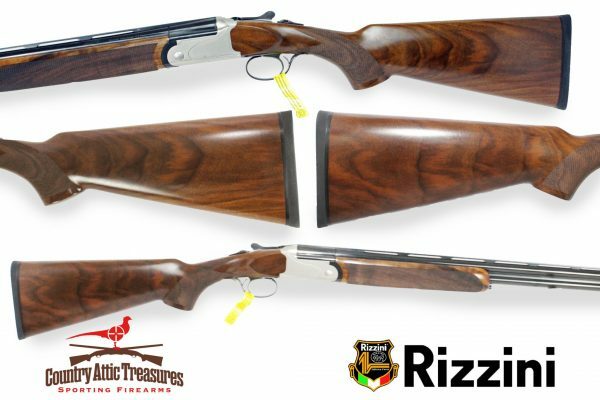 With the BR 110, Rizzini offers the budget-minded shooter the best value in an over/under shotgun today. MECHANICS: Boxlock, automatic ejectors, single-selective trigger. BARRELS: Chrome lined barrels, glossy blued. RIBS: Full side ribs, ventilated top rib. STOCK AND FOREND: Pistol grip stock and schnabel forend in standard walnut, polished finish.